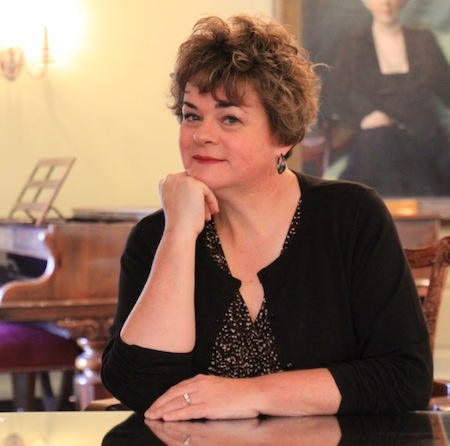 Kathryn Cowdrick maintains a voice studio at the Eastman School of Music and New York City. She is a graduate with distinction of Pennsylvania State University and Columbia University with degrees in speech and voice pathology. She continued her vocal studies at the American Opera Center at the Juilliard School of Music and was an Adler Fellow with the San Francisco Opera. In addition to being an active performer-teacher she is a Professor of Voice and Vocal Pedagogy at Eastman. She also teaches Professional Issues for the Singer's Career class for the Institute for Music Leadership program to help students learn how to manage YAPs, professional issues and audition techniques. She serves as a Singing Voice Specialist for singers in vocal recovery. She was awarded the 2004 Outstanding Alumni Award from Penn State University in addition to winning Metropolitan Opera National Council, Liederkranz Foundation, Merola Opera, Baltimore Opera, Washington International Competition and George London Foundation prizes. Kathryn Cowdrick has been a contributor to Classical Singer Magazine. Her most recent article on "Mentoring and Parenting the Young Classical Singer" appears in the September 2012 edition. It describes the journey taken with her son, tenor Matthew Swensen and as a teacher in academia. She presents master classes for universities and Young Artist programs on Performance Pedagogy and Vocal Health. She developed pedagogy classes at Eastman with course work that not only addresses the structure/ function of the vocal apparatus, but also classes devoted to great singers of the past, the psychology of performance, diagnostics, how to manage the voice over time and creating practice protocols and remediation. She believes very strongly in teaching “singing” not just voice. Young singers are often allowed to sing on sheer talent alone and she is committed to reinforcing a strong knowledge of vocal pedagogy, technical strategies and artistic creativity from the moment vocal studies begin. For the 2011-2018 seasons, her students and alumni have been members of Young Artist Programs that include the Merola Program of the San Francisco Opera, Wolf Trap, Chautauqua Opera, Ft.Worth Opera, Kentucky Opera, Aspen Music Festival, Music Academy of the West, Virginia Opera, Glimmerglass Opera, Pittsburgh Opera, Crested Butte Festival, Santa Fe Opera, Ohio Light Opera, Florentine Opera, Seagle Colony, Boston Early Music Festival, Opera Saratoga, Caramoor Festival, Aspen Music Festival, College Light and the Baldwin Wallace Art Song Festival. Three of her students were NATS interns in 2016 and 2018. Past graduates are also on the teaching faculties of Nazareth College, Adams State University, Gettysburg College, Wagner College, Boston Conservatory, the City University of New York, and Indiana University-Ft. Wayne. View Ms. Cowdrick’s article in the September 2012 issue of Classical Singer. This page was last modified on 18 July 2018.